In our last blog, we discussed being over-run by birds roosting on your home or property. Today we are going to talk about bats. Don’t assume that if you see one bat in your home that it is alone. If you see one, there are probably more living in your attic or walls. It is not uncommon for bats to take up residence in homes. Although bats are not aggressive, they will bite you if cornered, and a percentage of bats carry rabies. So, if you have a bat in your home, have a professional remove it, and don’t wait. 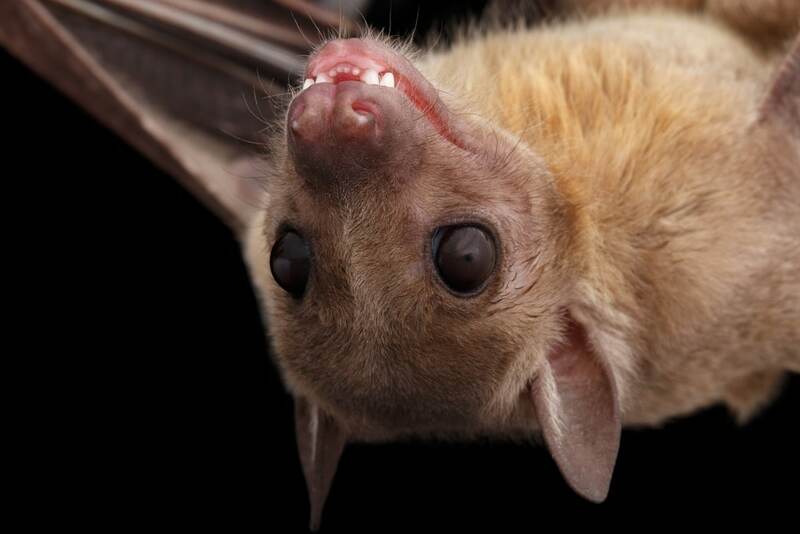 If you have not seen the bat in your home, but suspect that they have taken up residence in your attic, crawlspace, garage, or shed, have them removed ASAP, because the longer they stay the more problems they can cause. It is very important to begin removing bats as soon as they are discovered living in your home. Eradicating them in a speedy manner discourages them from coming back to the same place again and again. Also, ridding your home of bats protects you and your family from the risk of being bitten, as bat bites are the main cause of rabies in humans. Bats can also quickly contaminate an area with bat droppings, and under the right conditions a dangerous fungus can begin to grow in bat excrement. Trying to capture a bat is not only very difficult but unsafe: they have a large wing span but are very small otherwise and can hide behind pictures and other things; they can fly right at you; and they can bite. If you come into contact with a bat and do not catch it and provide it dead or alive to the proper authorities who will test it for rabies, you will need to undergo the complete regimen of rabies shots. Professional understand the dangers that bats present and possess the tools and the training to safely remove them. Don’t allow pests take over your home or business, let Carmel Valley Pest Control, inspect your residential or commercial property. Highly qualified and licensed, we can give you advice, set up a regular maintenance schedule (if you so desire), and provide effective treatments to keep your home or business in one piece! And we’re not just pest people, we have over 15 years of experience in interior home and business renovation. Whether you need our pest, termite, or renovation services, our focus is on customer satisfaction. Call us today at (858) 350-8838, (760) 736-8838, or (888) 989-8838.